In 1952, U.K. Prime Minister Winston Churchill took the threat of UFOs so seriously that he ordered a report on "flying saucers," according to files released today by the country's National Archives in conjunction with a three-year project with the Ministry of Defense. The details outlined in 5,000 pages of reports range from wacky to intriguing, and includes dozens of reported sightings. 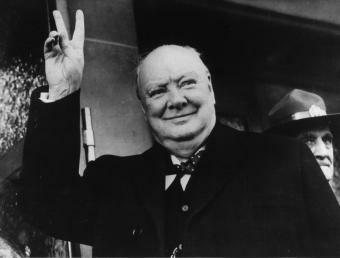 In one letter included in the files, a man alleges Churchill ordered a coverup of a WW II-era UFO encounter involving the Royal Air Force. The grandson of a former RAF crew member writes of an incident in the early days of World War II, in which an RAF aircraft intercepted an unknown flying object. The man claims that Churchill, after a meeting with U.S. General Dwight D. Eisenhower, made a declaration to keep the event top secret to avoid mass panic. A Ministry of Defense investigated the claim in 1999, but found no written record of it. 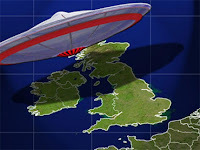 The 18 files contain UFO-related letters, reports, parliamentary questions and drawings the Ministry of Defense dealt with between 1995 and 2003. One report describes a man who made a 100-1 bet with bookmaker Ladbrokes that aliens would be discovered by the end of the century. When Ladbrokes refused to pay, he went to the Ministry of Defense for proof of extraterrestrial life. While their response stated they were open-minded about the subject, they had no proof of alien existence. In 1996 UFO sightings peaked, with more than 600 reported. Coincidentally, the television show "The X Files" was also very popular that year. Dr. David Clarke, a UFO consultant to the National Archives, explained to the BBC why the papers are being made public now. "Since the Freedom of Information Act arrived in 2005, this subject - UFOs - have become the third-most popular subject for people to write to the Ministry of Defense saying 'please could you release this file, or papers that you hold on this particular case.'" Clarke told the BBC.